TensCare Ova from Tenscare is a clinically proven, discreet, highly effective, simple to use TENS Machine for the natural relief of period pain. Research shows that 90% of menstruating women experience period pain, suggesting a real need for pain relief. Many women are unable to take pain relief medication for medical reasons, or simply prefer a drug-free approach. With today’s emphasis on healthy living, Tenscare’s ova offers a safe and drug free way to control your pain. Ova is a miniature electro-stimulator designed specially to relieve period pain. You can wear it under your clothing whenever you need it. Ova gives safe and natural relief from period pain. The unit delivers a gentle stimulation through self adhesive pads. It works with the medically proven “Pain Gate” principle, replacing pain signals with a gentle tingling sensation. The large contact pads make it easy to find an effective placement. Contains: Unit, Instruction manual, Lead, Lithium Battery, Pack of Self Adhesive Pads, Carry Pouch. The Ova is small enough to keep in your handbag (a small zip pouch is provided) and you can wear it under your clothes. Special large electrode pads ensure effective coverage. You can also use the pads on your back if backache is your biggest problem. Do not use if you may be pregnant. 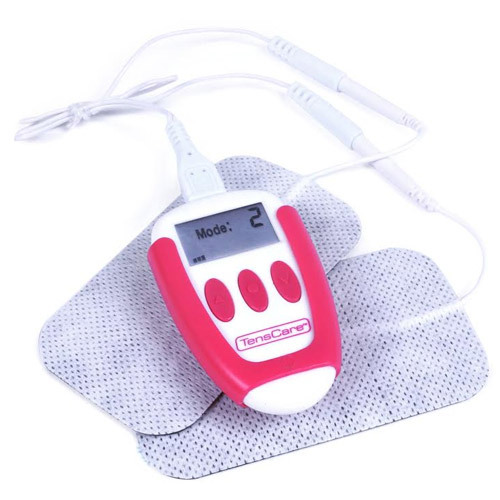 Below are reviews of TensCare Ova Period Pain Reliever - TENS Machine by bodykind customers. If you have tried this product we'd love to hear what you think so please leave a review.